For those of you who’ve read my memoir, I know you’re shaking you’re head right now and saying “duh.” You’ve read how I spend hours running and walking along the shore, reflecting on the past, present, and future. You probably remember that even though I’ve moved back to a landlocked Midwestern state, I dream of one day living seaside, waking up every morning and staring off a beachfront balcony at the endless blue. For that reason, when my best friend and I planned a trip to Ireland a few years back, booking three nights in Dublin and three nights in Galway, I was positive I’d like Galway best. It was the city on the coast, the launching point for famous worldwide sailing races, a perfect fit for me. Dublin won by a landslide. Don’t get me wrong, I loved Galway too. The coast was indeed beautiful, the “rainbow row” of houses along the harbor like something out of a painting; and if you ever plan your own trip to Ireland, you HAVE to go biking on the nearby Aran Islands, where you can ride through droves of pastures and out to some of the most massive cliffs on earth. 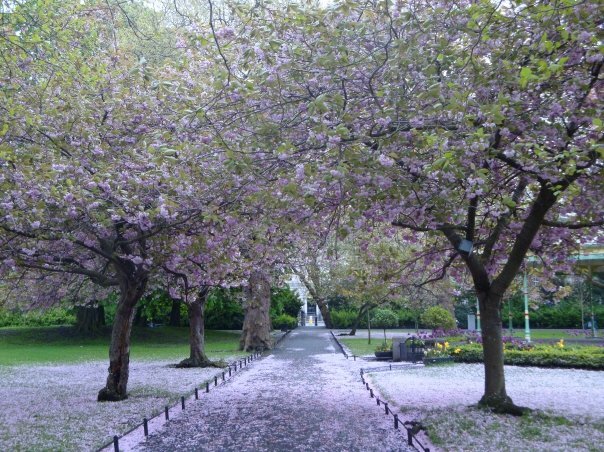 But there was something about Dublin, the historic architecture — castles and cathedrals — set in the middle of a bustling city, the casual pub atmosphere, and the beauty of St. Stephen’s Green (in full bloom with Cherry Blossoms) that got me. The fact that I couldn’t get enough of this city tells me something about my travel preferences: I guess I don’t need to be on a beach with a book to feel like I’m on vacation. It also tells me something about me. I’ve always thought of myself as an introvert, enjoying alone time, which fit well into my prediction that I’d like the coast of Ireland better than its biggest city. Yet it turns out, a laidback but lively atmosphere suits me even better. Give me some good music, a beer (or Irish Cider), and some interesting locals, and I’ll chat for hours. This past Friday, I returned from a one-month stay in Italy and Paris with my mom; an amazing, once-in-a-lifetime journey through eight different cities, ending in Rome. While running through the world’s most historic city on our second-to-last day, I got to thinking about which stops I’d liked best. Venice was charming, and I enjoyed not hearing a car horn for two days. It’s a little touristy, but there’s character around every corner (or rather, across every canal). Milan was very industrial, busy, and while I’m sure most fashion students dream of going there, it just didn’t seem like a lot to see. Florence was okay. Some neat buildings — the Duomo, that famous domed structure captured by most cityscape paintings, is almost larger than life in person. Yet if you got off the beaten path there, it didn’t have the feel of a unique city. Again, too busy. Rome was really busy, and I wasn’t a fan of the “stop if you want to” cros swalks for cars, especially as a runner. However, when you add in the historic buildings EVERYWHERE, it’s a city hard to beat. 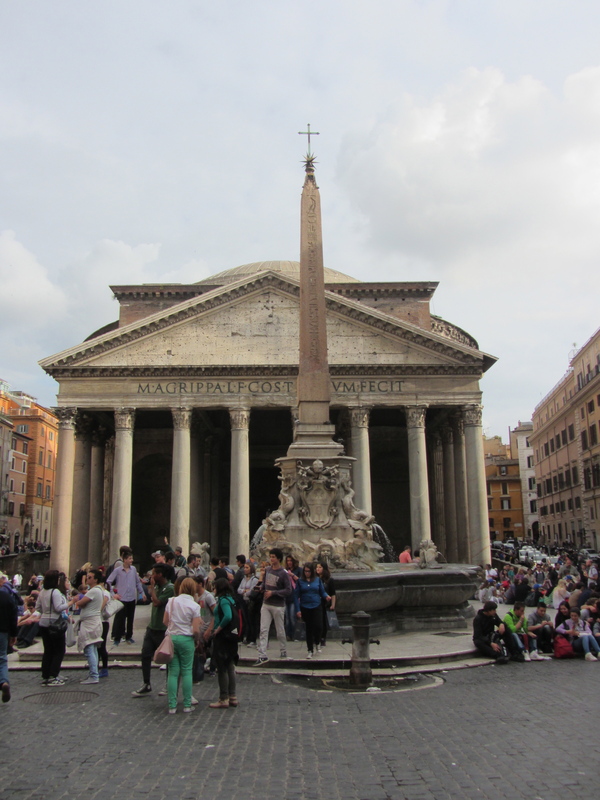 Coming upon the Pantheon, a 2000-year-old structure that sits in the middle of a modern shopping area, was one of my favorite moments of the whole trip, and I couldn’t get enough of the fountains, especially the famous “Fountain of the Four Rivers” featured in the movie Angels and Demons. 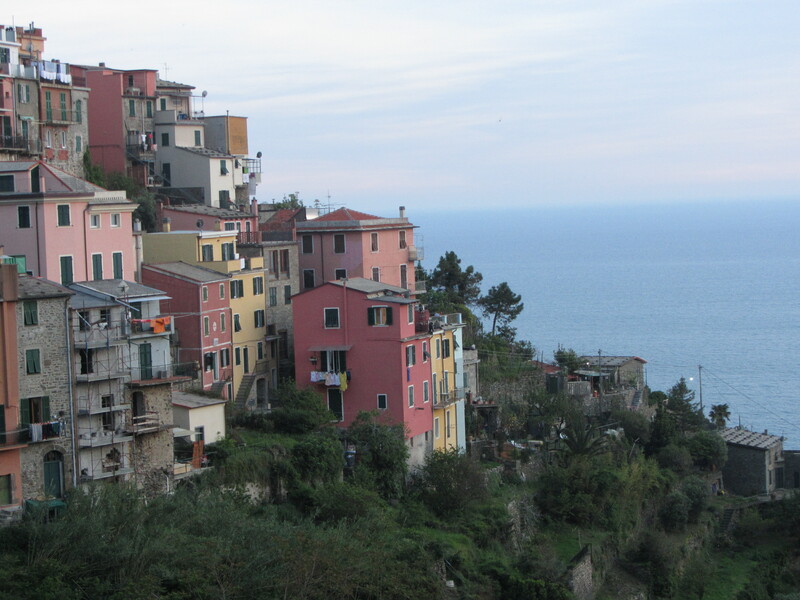 Our time in Cinque Terre on Italy’s coast was completely the opposite of Rome: QUIET. There couldn’t have been more than 200 residents in the town we stayed, which was great — a view of the Mediterranean all to ourselves. The scenery was unbelievable (note the picture to the left): dozens of colored houses clinging to the cliffs, set against lush, green mountains. It was like nothing I’d seen before, and I was sad to say good-bye. But happy to say hello to Tuscany. I’m not a skier, nor do I live in driving distance of mountains, so it’s not often I vacation with them as a backdrop. 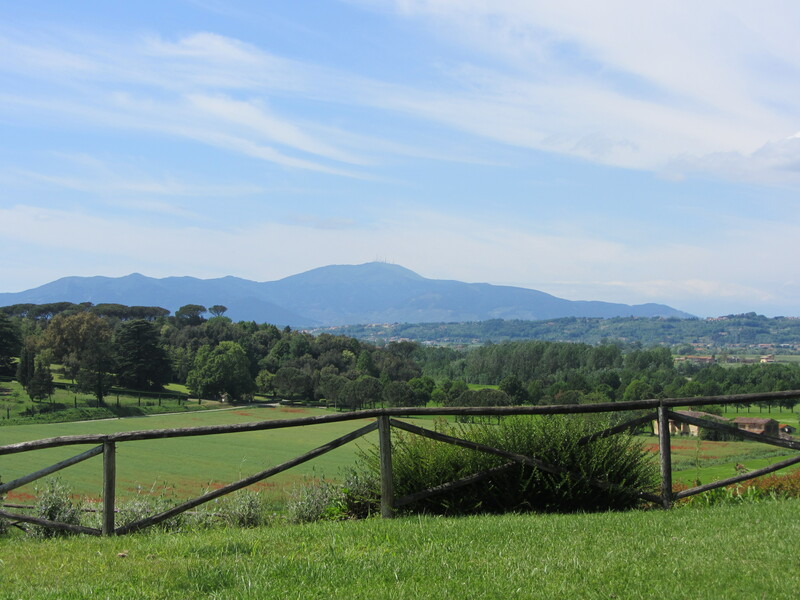 The view from our villa (which was on a winery, by the way) was just like in the movies. In addition to the rolling hills, the 400-acre property boasted numerous gravel running paths, along with connecting roads leading through small towns where residents often stopped to wave at me as they opened up their shops for the day. Lucca, in the heart of Tuscany, was a city I liked more than I’d anticipated. Small and quaint, not as touristy as Venice, and it had plenty of history. 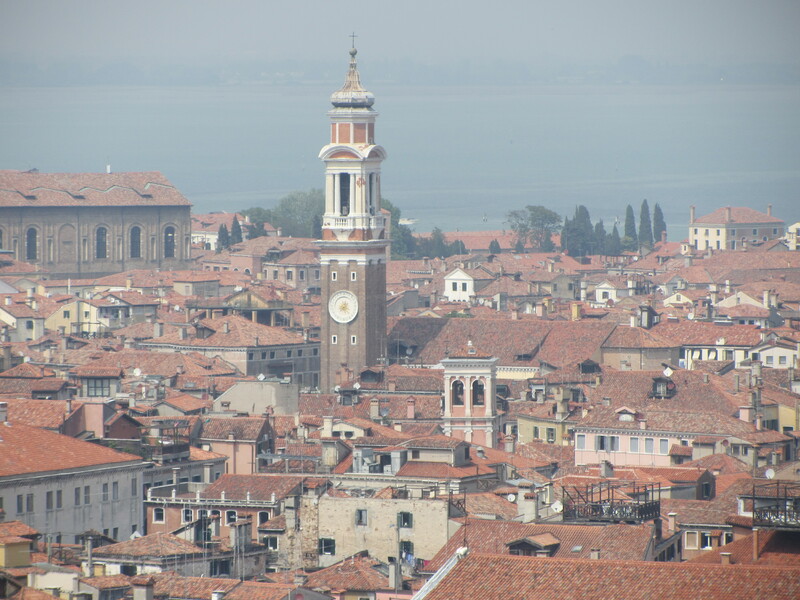 It also had the classic Italian architecture with balconies and flowers everywhere, cobblestone streets, and numerous churches. 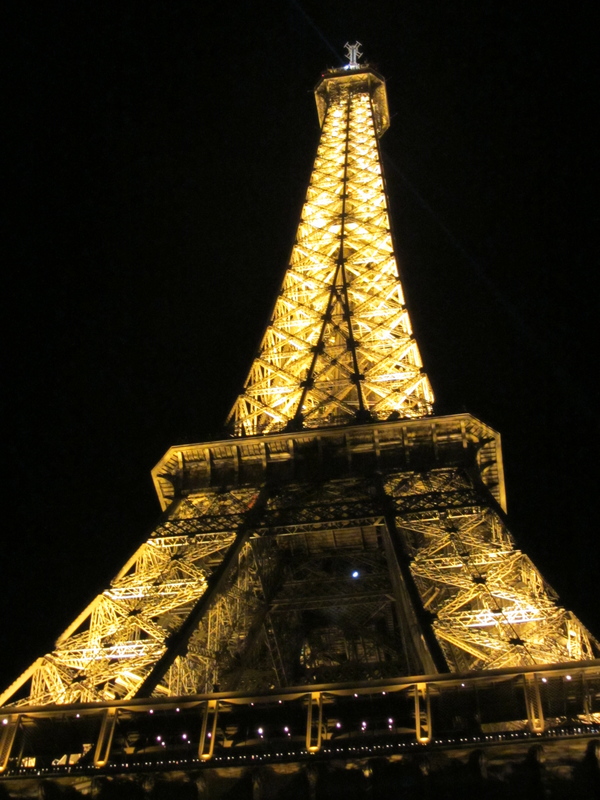 And then… Paris. I’d been there before and already fallen in love, which was why I insisted to my mom that we go back while we were (kind of) close. Its icons are, well, iconic. I loved seeing the Eiffel Tower just as much the second time around, especially the view from the Trocadero, a huge platform just up the hill from it. 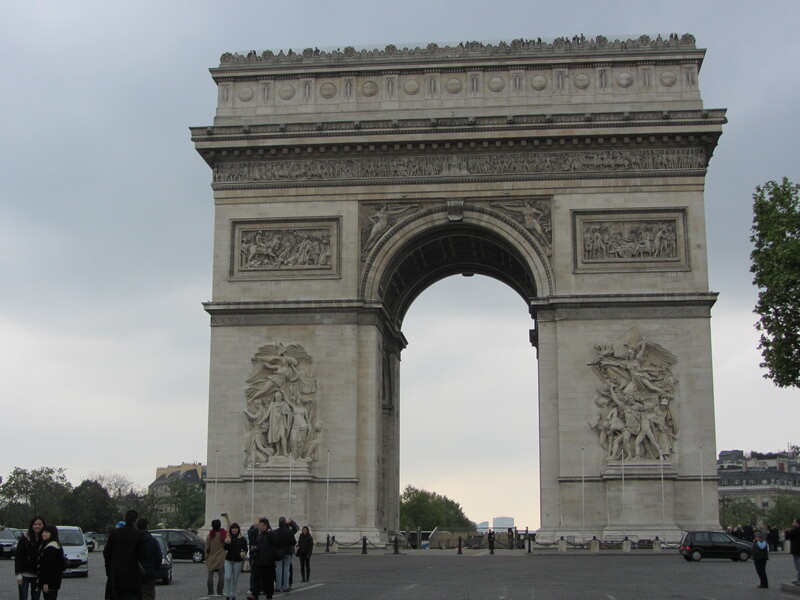 But my favorite is still the Arc de Triomphe. There’s nothing like running up the Champs de Elysee and seeing that looming giant in front of you. Again, I could easily look at this list as what I like and don’t like seeing on a vacation. Maybe, if I did it all over again, I’d skip Milan, or go to Sienna, another Tuscan city, instead of Florence. But I love that I saw all these places. I love that I have them to compare to one another. Like Ireland, I love that I can come back home and feel as though I’ve learned more about who I am. Quietness definitely suits me. I like being away from activity — having a chance to reflect and hear myself think. Cinque Terre and Tuscany were perfect for this. I could run for hours through those hills and mountain towns, and let me tell you, my calf muscles are much stronger because of it. I can hold my own in a big city too. It took me a couple days of running in Rome, and getting (very) lost at least once, but I found my way around and enjoyed the adventure. I didn’t let the sprawl overwhelm me, but rather conquered it with the help of maps and a few street vendors who luckily, spoke some English. There’s an explorer side of me. The highlight of Tuscany was supposed to be vegging around the villa, but instead, I loved touring Lucca, seeing a new city full of history and character. I thought I’d want to be laying by the pool, yet I was even more content sitting in the middle of a piazza — huge squares that Italy is known for — and people-watching. Finally, the pieces come together in Paris. There’s quiet corner cafes when I need them, the buzz of a big city when I want it, culture, different people, and the icons to appreciate. It’s my favorite city in the world; that’s right, the entire world, or at least what I’ve seen of it so far. I’ve always believed that the greatest benefit of traveling, in particular to another country, is getting a new perspective: seeing other views on everything from politics to fashion. In fact, as my mom put it after two days in Europe “America really has no idea on fashion.” Yet what occurred to me more than ever on this trip is how traveling to new places gives you a better perspective on yourself. Part of who you are is where you feel at home, and if you never leave home, you’ll never know where that might be. I might have sat on the ocean the rest of my life were it not for my best friend convincing me to cross it and see the countries on the other side. Now, instead, I want to see more — more European cities like Dublin and Rome, more views of the Mediterranean (perhaps from the coast of Spain?). Of course, I also want to go back to Paris.